No child wants to sit still in a chair on the weekends! That’s what makes good Bible-based games so valuable. With the right games, you’ll not only be able to teach your students Biblical lessons but you’ll also be able to ensure that your classroom is a fun and exciting place to learn. Hello, my name is Mary-Kate Warner and as a Sunday School teacher myself I have to admit that I’ve spent far too many Sundays trying to corral energetic kids instead of teaching the lesson that I had prepared. Almost Put Me at My Wit’s End! The class was filled with hyper-active kids that only wanted one thing – to play. After several straight Sundays of getting nothing done in class, a veteran teacher recommended I try a Bible GAME. That simple suggestion allowed me to channel my students’ energies in a much more constructive manner. Suddenly, all the kids were having fun playing a game that was actually teaching them something important. Sunday School was fun again! Every Sunday at the end of class I went home knowing that my students not only enjoyed their time in my classroom but they also actually learned while they were there. A Sunday School teacher can’t ask for much more than that can she (or he)? In either case, I’ve compiled a collection of 94 games that I’ve used in my own classroom and found to be particularly fun and effective with kids 4-12. These games are just what you need to both up the excitement and the effectiveness of your classroom teaching. to Life for the Children in Your Classroom! These are games that will help the children that play them gain a deeper understanding of Christian values and also entice them to start incorporating these values into their own lives. And now, instead of having a classroom full of students who respond “I don’t know” when their parents ask them what they learned in class, you’ll have students who will ALWAYS be able to tell their parents exactly what they learned! 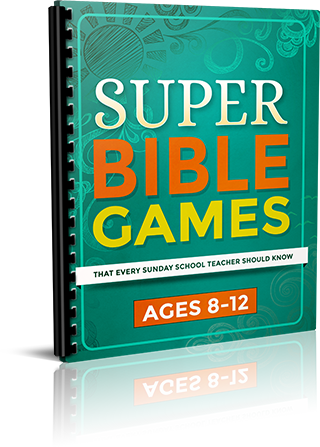 Super Bible Games ENSURES Your Message Gets Through To The Children While You Keep Everyone Entertained & Eager To Learn! Discover how to use a ball of tin foil and some kitchen utensils to create a game that shows that God is not as interested in how fast or how slow we are but rather that we show persistence! A fun game involving masking tape and children’s hands that will literally allow your students to be healed so that they learn to celebrate miracles, not only because they show God’s goodness to all who hear, but because the person who receives a miracle is set free! How much fun it can be practicing hearing the still, small voice of God – especially when banging pots are involved! How two simple items like bubbles and a balloon can be used to not just get your students to understand manna (or bread from Heaven) but also send the fun and excitement level in your classroom soaring! The “lie like a rug game” which uses blocks and a rug to drive home just how important it is to always tell the truth, so that our word is trustworthy and others trust in us doesn’t come apart! How to use something simple like cardboard tubes to help students appreciate the true wonder of God’s creation of man! How Play-doh or clay can be used to help students understand that sometimes with God’s promises, we have to wait ... and sometimes things happen that we didn’t plan for, but God is always in control! How using building blocks to build a skyscraper can be the perfect way to emphasize forgiving our sisters and brothers and friends as well as help students understand that we are all on the same team and have a much better chance of succeeding working together instead of against each other! How to create an obstacle course with a few scattered chairs and then use a blindfolded child to reveal that even when we don’t know where we are going, if we keep following God’s will, we will get through! How to turn water purple (the royal color) and show children that we become like princes and princesses when we talk to God and tell Him we love Him! How forming two lines and using two simple words can teach students the importance of listening to their conscience and their inner soul instead of watching what others do! Why it doesn’t matter how big or how strong you are, instead it matters how big and how strong the power is that’s helping you – and how to use four-legged races to get your students to understand this concept and realize that being filled with the Holy Spirit can be like getting not one but two extra sets of muscles! How to use a blanket and aluminum foil to help children truly understand that walking in God’s will is like being under a blanket of His protection! A simple direction game that shows that even when we have several bad days in a row if we just stick with the Lord and believe in His might, we’ll get our happiness back! How to teach your students to resist the bad choice of a crowd by playing a game that involves arranging them in a circle and getting them to lock arms! The first volume is specifically designed for children ages 4-7. This are active games that cater to children with limited attention spans and lots of wiggly energy. The second volume is specifically designed for children ages 8-12. These games require a bit more maturity and require students to think more deeply about different topics in the Bible. 15-30 Minutes of PURE Fun. Most games take about 15-30 minutes of class time which includes game time & discussion. Required game supplies are minimal. Most games do not require any supplies, the ones that do need only common, everyday household items that can be found in your kitchen or garage. These games work for churches of any denomication or Bible translation. If you class has 2 kids or 40, nearly all these games will work for you! Our games are easy to learn & teach! We provide clear instructions that take only minutes to read, prep, and start playing! Every game comes complete with age-appropriate questions to reinforce and expand Bible concepts! Each game includes a Bible Lesson Reference so you'll always know exactly how to tie the game in with a specific story or message. 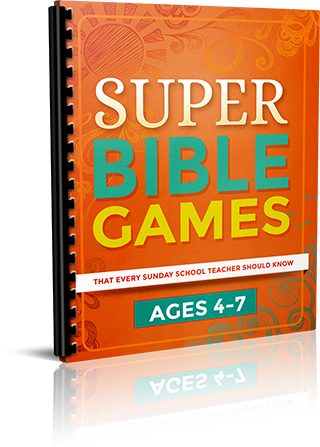 “Super Bible Games" is a downloadable eBook so you can get these games instantly with no printing, packing, shipping or handling expenses. You get all the games in just minutes or even seconds from now … that means you could be using it in class on Sunday – even if you are ordering on Saturday night! Just click an order button below and you can receive our downloadable “Super Bible Games Bundle” for the low price of just $9! This collection of games has sold for $29.00 for years! But right now I want to make this incredible package available to as many Sunday School teachers as possible and that means setting the price as low as possible. 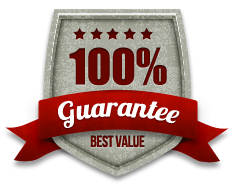 That’s right, I am so sure that you will love “Super Bible Games” that I am offering an unconditional 100% money-back guarantee. If you are not completely satisfied with your purchase, all you have to do is notify me within 60 days of your date of purchase and I will refund your money, in full, with absolutely no questions asked! That’s TWO FULL MONTHS to put these games to the test! Either get the games you need to teach kids of all ages about God and the Bible or get your purchase price back! Plus, when you order “Super Bible Games” you can take advantage of the immediate download feature to get both volumes in just minutes … that means you could be using it to teach this Sunday – even if right now it’s Saturday night! 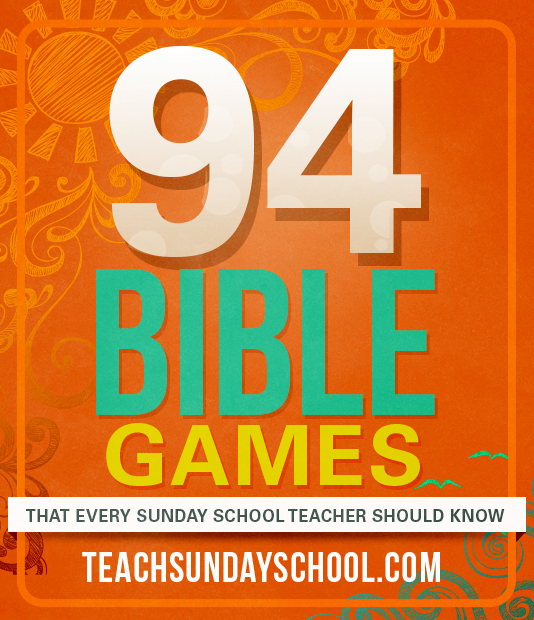 The games found inside “Super Bible Games” have been “field tested” in hundreds of churches across the world. I’ve only included games that are “winners” – that have proven to be both fun and educational for kids. The games are organized by the Sunday School Lesson I think works well with that particular game. However, feel free to mix up the games with your own lesson plans as many of the games can be used with various Bible teachings! Who Are Learning & Having Fun? 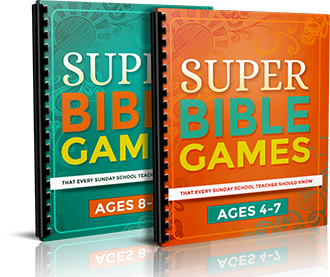 Just click on the order now button below to get both volumes of “Super Bible Games” for one low price! YES, I want in! I want my own copy of Super Bible Games that I can use over and over again. Please give me INSTANT access to the material right now! P.S. These games are designed to grab kids’ attention and get them to focus their energies in a constructive manner so that they are able to learn while having a great time. In other words, they’ll transform your classroom into the ultimate learning environment. And remember, order now and you can get both Volume 1 and Volume 2 for the one low price – just $9! P.P.S. Also remember that you are making this purchase at absolutely no risk. So grab this special price while you can! 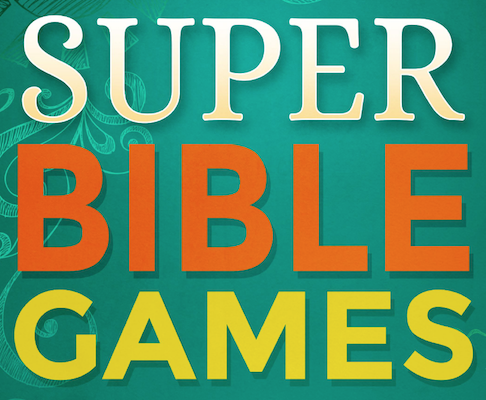 If “Super Bible Games” isn’t everything you were expecting, you can request a full refund. It gives you 94 exciting and informative games in two easy-to-use ebooks. Why spend hours and hours tracking down games that may or may not be effective when you can get exactly what you need right here for one low price?